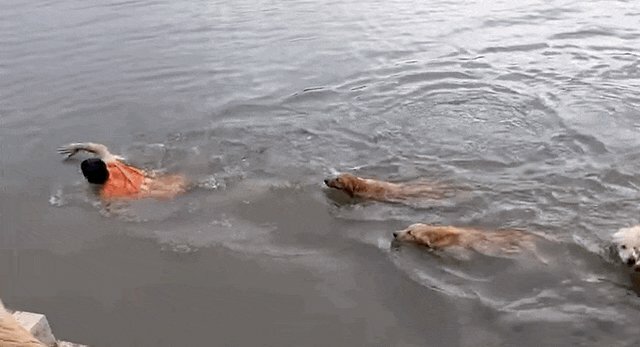 A man decided to go swimming, and, even though he surely already knew how ... his dogs were NOT convinced. So they decided to go with him - all 12 of them. That's right. 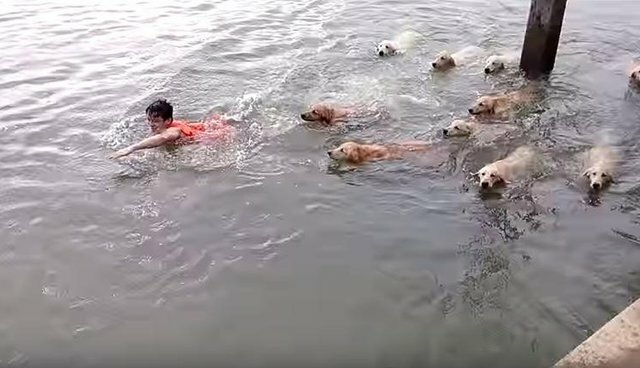 This man went for a swim and his dozen golden retrievers followed after him as if his life depended on it. 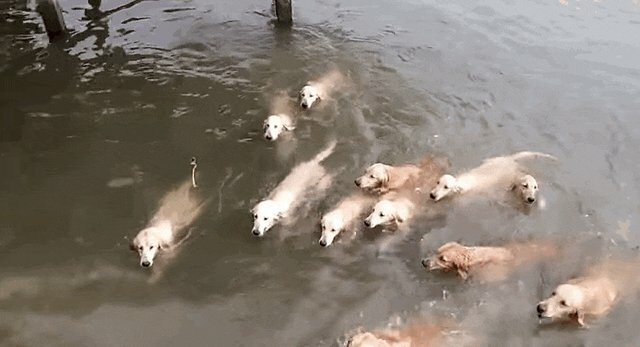 At first, there was a reasonable number of dogs swimming with the man, say around six, but slowly, more golden retrievers started to appear. 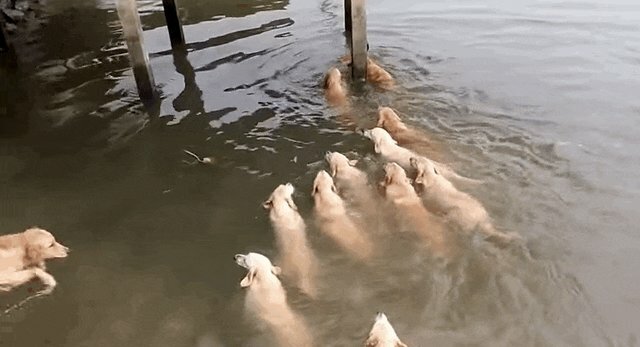 As the last one splashed in, all 12 dogs flocked to the man, who seemed to be reassuring them. "Guys, really, I'm not drowning, I swear!" When the man finally decided to get out of the water, the dogs still chased him - because, what if he doesn't know how to walk either?! Of course, as adorable as this play date is, the real question still remains: Why on earth does this man have 12 golden retrievers? Probably one of the greatest mysteries of the world. Regardless, having that many dogs is definitely my dream so, props to you, mystery man!